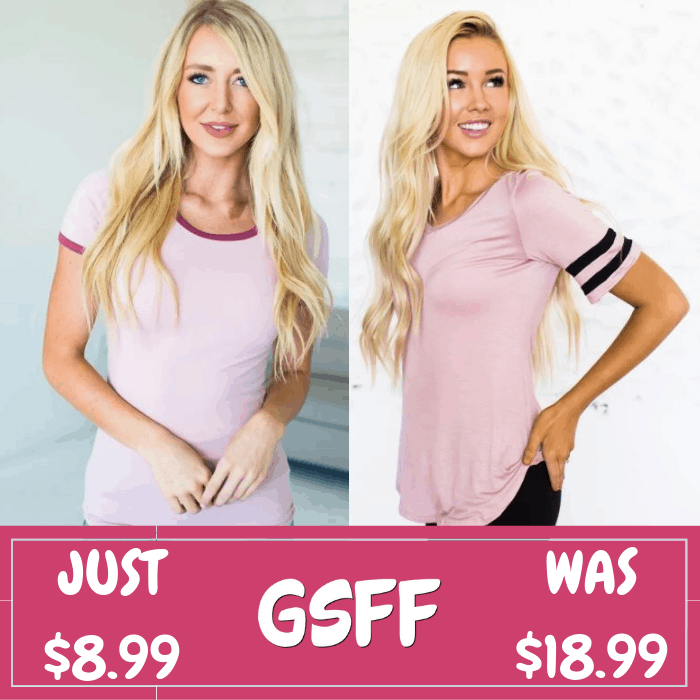 Spring Tees Just $8.99! Down From $19! Shipped! You are here: Home / Great Deals / Spring Tees Just $8.99! Down From $19! Shipped! Through February 2 only! Jane is offering this Spring Tee Collection for just $8.99 down from $18.99 PLUS FREE shipping! This spring tee collection has the best go-to tees a girl could ask for! The varsity tee is a very soft, rayon/spandex material with a loose boyfriend fit. Zipper tee is a rayon material with a relaxed feel and fit. Ringer tees are stretchy and fitted! Size up for a more relaxed fit. Basic knot tee is classic and feminine! Relaxed fit with a soft rayon material. Baseball tees are stretchy, ribbed, and relaxed!